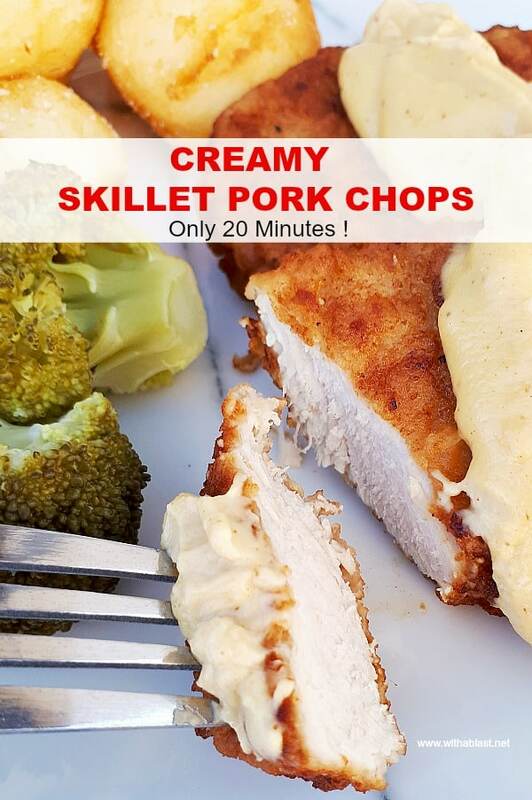 Have your Pork Chops and a delicious sauce within 20 minutes and you will only use one skillet ! We do love a good Pork Chop and it is a bit healthier than the usual red meats. That is, of course, if you remove any visible fat before cooking. 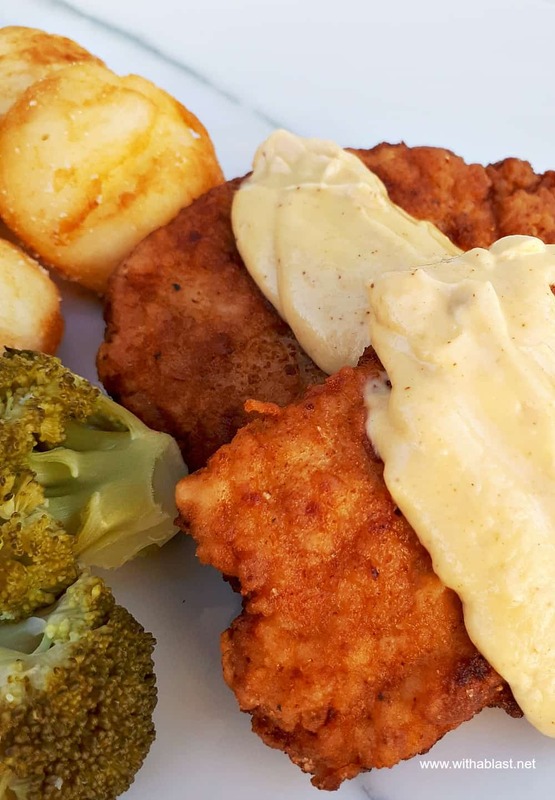 Now having said that… there is not much more delicious than a piece of fried, even baked, fat on a Pork Chop or Pork Roast ! But, we try to minimize this specific non-healthy bit as much as we can. 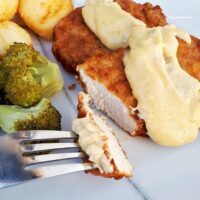 These creamy skillet Pork Chops are so tender and we are loving the sauce that goes along with the meat. And twenty minutes from start to on your plate ? Definitely a winner. 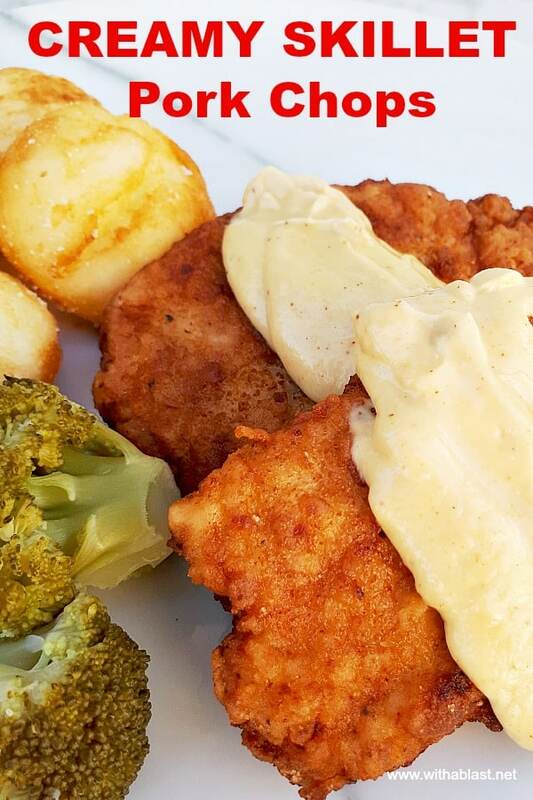 The Pork Chops are only covered in a simple, light flour mixture, but adds so much to the taste after being cooked. We usually have these Chops with a side or two and most definitely a starch. 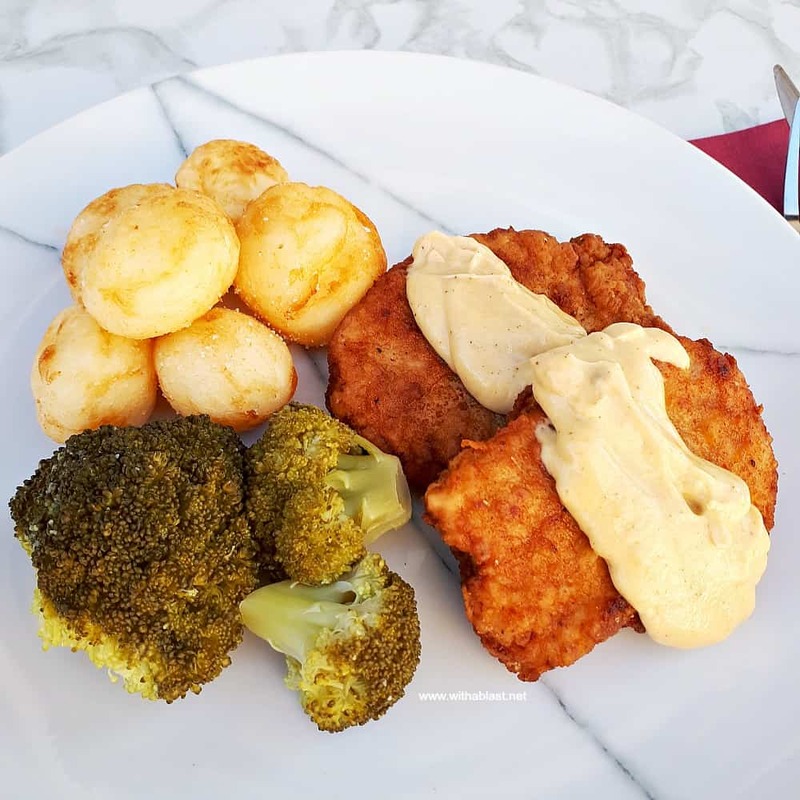 In today’s photos you can see we had roasted baby potatoes and broccoli. Do you serve an appetizer before your dinner meals ? We do not always, but if we do, I cut down the side dishes, or if it was a starchy appetizer, I might even leave out the potatoes. You can really serve these creamy skillet Pork Chops with just about any side dish. This can vary from hot vegetable dishes on a chilly day, to crunchy salads on a hot Summer’s day. Because to me, a good Pork Chop is welcome all year round ! The sauce has quite an interesting, unique taste. Not as sour as one would expect looking at the ingredients, but instead somewhere between a sweet-sour sauce. I play around with the Salt in the sauce and normally add a little more just before serving. My son’s girlfriend had her first taste of the sauce recently and I have already added additional salt at the end. But, her preference is very light on salt – anything. My daughter on the other hand, loved the sauce ! Therefore it might be a good idea to serve the sauce on the side and let everyone add their salt as preferred. Or they could even sprinkle a little more over the sauce once on their dinner plates. Don’t forget to PIN to your favorite Pinterest board ! That coating on the pork chops just looks so crispy and delicious! This sounds like a quick and easy dinner! Perfect for busy week nights. These pork chops look really good. Love the sound of the sauce too! Def want to try this recipe! I love that sauce! It’s perfect over the pork chops! This is a great dinner for any night of the week! I’m so intrigued by that sauce, I’ve never seen anything like it! Will definitely try that. I’m loving this easy one skillet meal idea! It’s perfect for any weeknight meal and my family loves it. This was a fabulous meal! 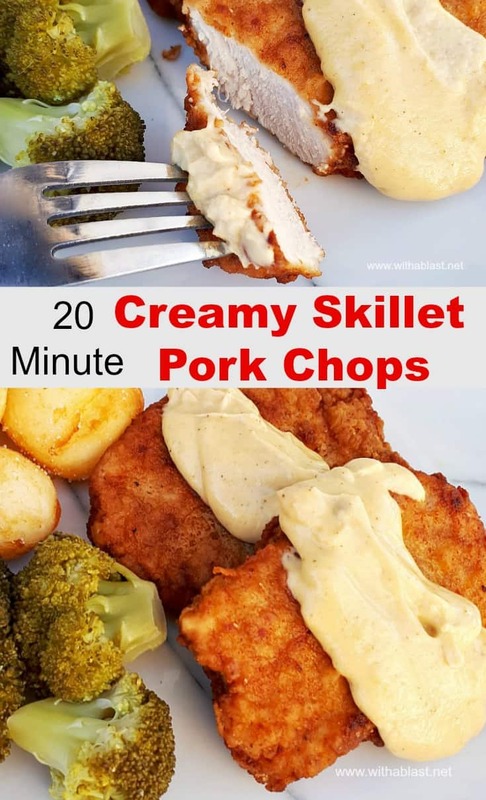 I loved the flavorful crispy coating on the pork chops and the sauce over the top was the perfect addition.